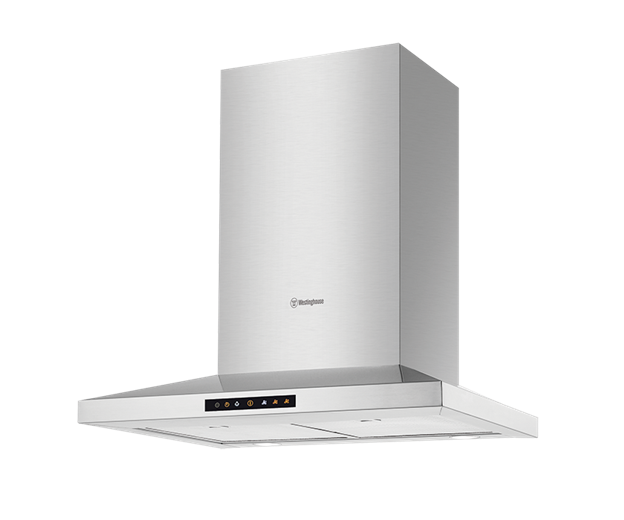 60cm Stainless steel pyramid canopy hood is rated 4.0 out of 5 by 7. 600W x 500D x 600H(mm) ? 60cm Stainless steel pyramid canopy hood with 850 cubic m/h extraction and high output LED lighting. Rated 1 out of 5 by Frank123 from Too noisy and not efficient I moved into a brand new house and the builder had installed this range hood in my butlers pantry. It is very noisy and feels like you are close to train tracks. I had the builder to have look twice and they said there is nothing wrong with it and that’s how it comes. And the efficiency is poor and you can still get the cooking smell to the living room even the door closed in the butlers pantry. See the video. Rated 4 out of 5 by df495 from Really like my new rangehood I did my research before deciding on this rangehood. The online ordering was quick and easy and even though the delivery of the item was delayed, I was kept fully informed of the process. When it was finally delivered I negotiated the day and time to suit my requirements. 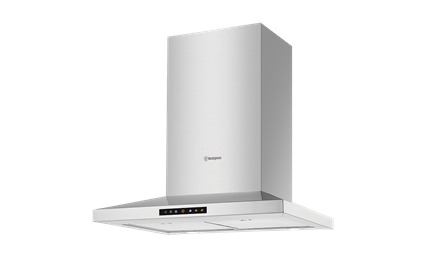 The rangehood met all my expectations. Rated 4 out of 5 by D Edwards from Happy with my purchase Really pleased with the light touch controls, smoke/odour extraction and filters need cleaning indicator. The downside is that it gets too noisy the higher the setting, so I tend to use the lowest setting. Rated 4 out of 5 by Silv from Fitting the unit I purchased this unit as part of a renovation. Packaging was good and the unit was well protected. You will need to buy additional kits depending on how you want to vent the unit, as well as duct tape to seal the kit to you range hood. Removing the protective film was a pain - esp off the thin back edge of the shrouds. One addition that would make fitting easier would be a simple heavy paper template with a light adhesive that you could stick to the wall to permit easy fitting of the wall mounts, its a bit of a pain otherwise. The only other thing that I found annoying was fitting the shrouds that cover the vent kit. Firstly if fitting by yourself the top inner shroud falls down under gravity making fitting a bit tedious. Secondly, I can't see why the top most back corners of the inner shroud has folded in corners, they server no purpose I can see. Operation: fan is reasonably quiet, lighting is good albeit at the back, a strip of LED's may improve the front lighting a little. The touch controls work well and the filters are easy to fit and remove Would I buy it again test - yes.